Dire Straits, Mark Knopfler and his Music. Perfect soundboard recording! All songs are in perfect sound and the concert is 100% complete. Unlike the other bootleg from Copenhagen 1996 no missing ending of Romeo and Juliet this time and The long highway and Going home are featured on this recording. Just before The long highway, Mark Knopfler says: "We will be thinking of you on the way up to Oslo... " Truely a great concert with good dynamics, highly recommended is you want a good impression of the Golden heart tour in perfect sound. Email me for the key. Last concert of the 1990 tour. 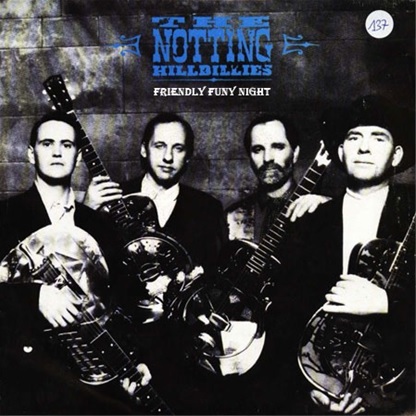 Taken from the original silver pressed bootleg "A friendly funny night". This soundboard recording has excellent sound quality and there are some really wonderful songs including When it comes to you, a song that would appear on the next Dire Straits album On every street one year later. The guitar solo on Feel like going home is really beautiful. This is a must for all fans! If you like this content, consider donating for the maintenance of this blog. 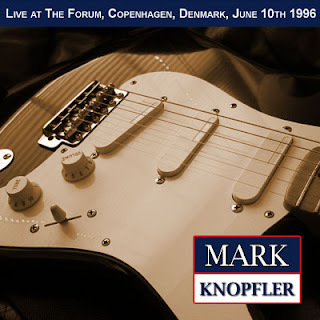 I am a graphic designer who's loved the music of Guitar God Mark Knopfler for a very long time, here you'll find many bootlegs of Mark, NO OFFICIAL MATERIAL will be posted, all cover designs will be mine, some will be new, some will be old. This is an effort to share and spread the music of Mark. If you like the content of this blog, leave a note. If you'd like to make a donation with paypal to the blog. It will be greatly appreciated. "I am against this lawsuit. It was said TV would be the end of cinema, it was said tapes would kill records and CD burners would kill CD's, but that's not true. Technology will always progress. The only real danger comes from countries which practise industrial piracy. I've always encouraged the recordings of my concerts. From the stage I had fun seeing all those little red lights of recorders and these microphones hold by fans. That's no danger and even quite cool. Fans who buy bootlegs already own all the official albums anyway. They do us no harm and I find these raids against bootlegs shops ridiculous."